KEN YUSZKUS/Staff photo. 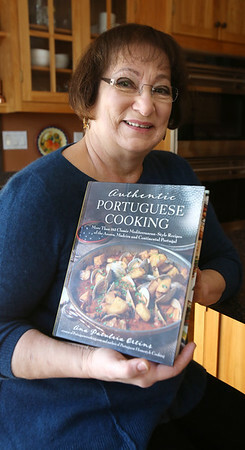 Ana Ortins is in her kitchen holding a copy of her new cookbook. 10/30/15.